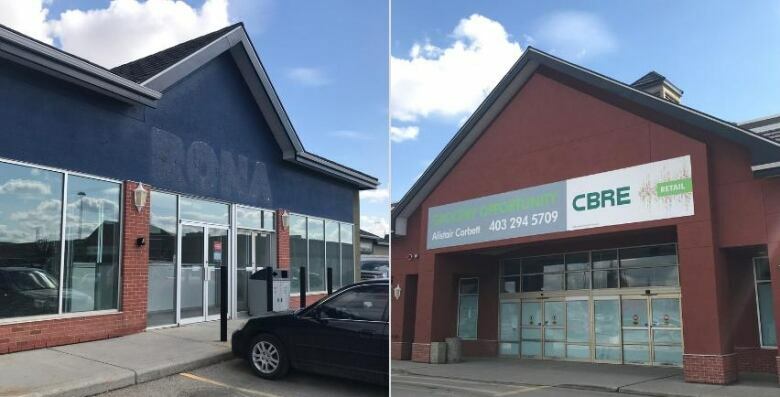 Bankrupt retailers have left Calgary malls and other commercial landlords scrambling to fill yawning gaps of vacant space in recent months, but industry insiders are not pushing the panic button as they see some bright spots in the retail landscape. Higher vacancies have pushed rents lower, attracting some high-end American clothing retailers that traditionally dismissed Calgary as "way too expensive" for its size, said Greg Kwong, regional managing director for CBRE Ltd.
"We're actually seeing a few retailers from the U.S starting to look at Calgary again," Kwong said, adding he can't disclose the names because they remain confidential. "Of the three or four that we know of, they're all well-known brands that are not here yet. For those of you who go to Palm Springs or Phoenix, you'll recognize some of these." Online shopping has squeezed a rising number of large brick-and-mortar retail chains, forcing them to cut costs or file for bankruptcy. 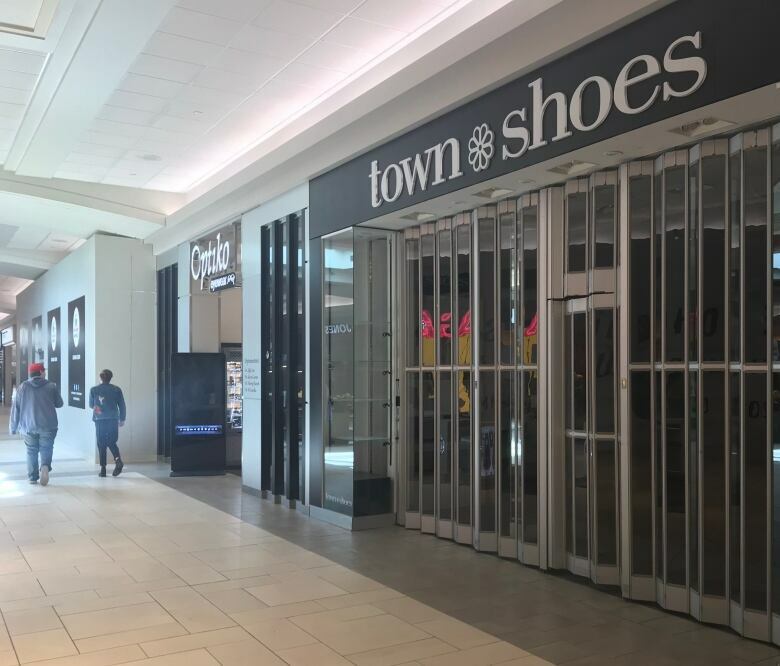 Five big retailers — Rona, Payless Shoes, Town Shoes, Home Outfitters and Gymboree — are closing a total of 23 locations in Calgary malls in just the first few months of this year alone. Commercial real estate firms take a snapshot of the market's health, including vacancy rates, in the middle of the year and again at year's end. It means coming up with vacancy estimates outside these periods can be something of a guessing game. According to CBRE, big retail closures have left behind an estimated 325,000 square feet of space in the city. The company estimated this could push the overall retail vacancy rate from 5.6 per cent in December to 6.4 per cent in June, if the space remained empty until then. But the projection is imperfect because it doesn't take into account other leasing activity that may occur during the period, and landlords are busy seeking tenants. Michael Kehoe of Fairfield Commercial Real Estate said there's been competition for some of the space left vacant by recent bankruptcies, including Payless Shoes locations. "I have clients who want these spaces, and I can't get them," Kehoe said. "We're seeing more of an accelerated churn for space these days, but there is demand for space in the Calgary market." Out-of-business firesales have become something of a routine in Calgary and across the continent as shopping trends continue to shift toward the web. 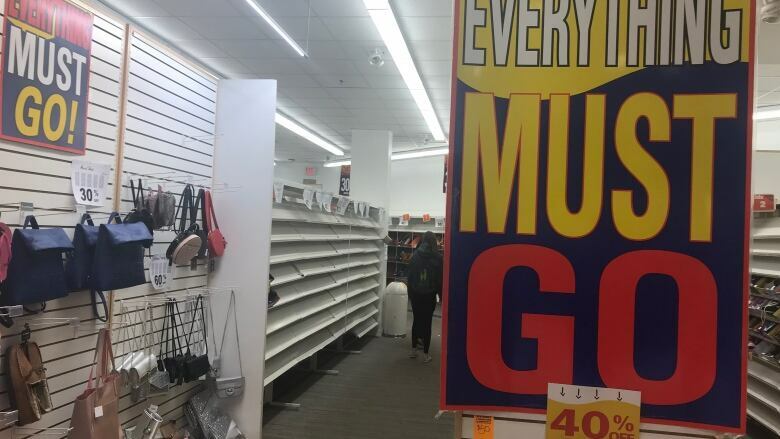 Shoppers get steep discounts as they pick through the last of a dying retailer's inventory, leaving behind empty store shelves and, eventually, a vacant storefront. Like other analysts, Kehoe said he sees opportunities in the retail gaps. "I wouldn't say it's a healthy turnover, because there's more turnover right now than we've had in the recent past," he said. "But it keeps the shopping centres fresh with new offerings when new tenants open." Kwong of CBRE said relatively high disposable incomes in Alberta have helped support many retailers in the years after the recession. Monthly retail sales figures have hit plenty of highs and lows during that period, but sales overall rose from $5.87 billion in pre-recession January 2013 to $6.7 billion in the same month of 2019. "I find that very strange that economic data is pointing to the fact that we still shop even though we're unemployed," Kwan said. Other segments of Calgary's retail market face different challenges. Downtown restaurants and other shops that traditionally served the oil and gas crowds have in many cases struggled to cope after the recession left office towers empty. Streetfront retailers have been hit with massive property tax increases as city hall seeks to fill a gaping revenue hole from those vacant downtown offices. According to Colliers International, these tax hikes were directly linked to a record-breaking vacancy rate of nearly nine per cent for streetfront retailers in late 2018. In suburban malls and strips, however, "tenants are always looking for space, and they have to bide their time," said Bruce Bynoe, a principal of Avison Young. "There is a limitation in the suburbs on what can get built because land use is extremely tight, so there is always competition for space." But retailers with large footprints can be challenging to replace if they fail. For instance, a former Sobeys location in the Douglas Square strip mall remains vacant five years after it was shuttered as a cost-cutting measure when the retailer bought the Safeway chain.